This mushroom is definitely one of the most delicious mushrooms out there. They are extremely popular and used in many popular foods like pizza. They are usually imported from many different countries. They are not only tasty but also very healthy. 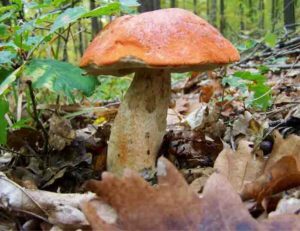 Follow these three easy steps to recognize porcini mushrooms. Caps: The cap usually looks like a greasy bun. The color is either yellow brown or reddish brown. Stem: The stem is very solid. And the color is white. Habitant: They grow beneath tree soil. Usually beech and birch. They also grow on semi sunny places, usually places where the sun can reach the ground.